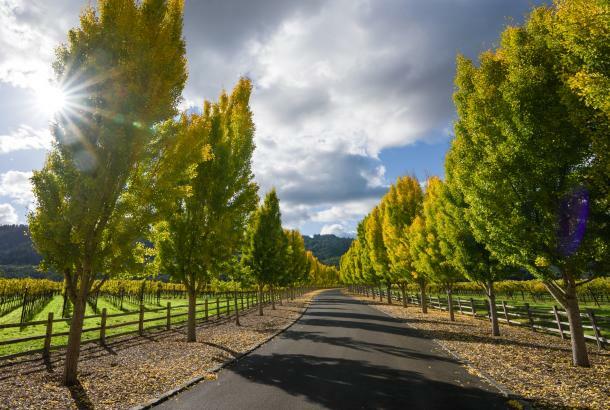 The holidays fall at the height of Cabernet Season (November through April), the perfect time of year to enjoy Napa Valley’s famous red wines with seasonal hearty fare as well as the many festive events planned in November through the New Year. 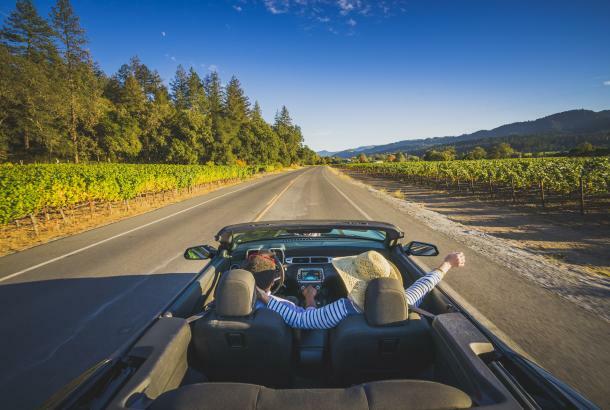 Here is a highlight of what the Napa Valley has to offer this holiday season. 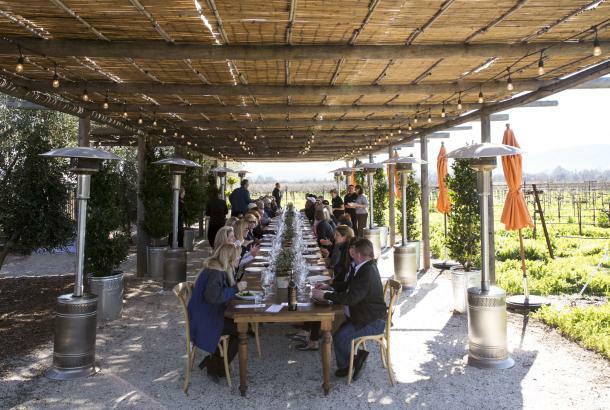 St. Helena welcomes Cabernet Season with the “Little Book of Big Experiences,” which includes 25 quintessential St. Helena experiences, including wine and food pairings, guided tours, meals and lodging specials. The “Little Book of Big Experiences,” which is valued at more than $1,000, may be purchased on-site at participating venues or at the St. Helena Welcome Center, located at 657 Main St. in St. Helena, as well as online at experiencesthelena.com, which provides details of each offer. The cost of each book is $100 and offers are valid November 2016 – March 2017. 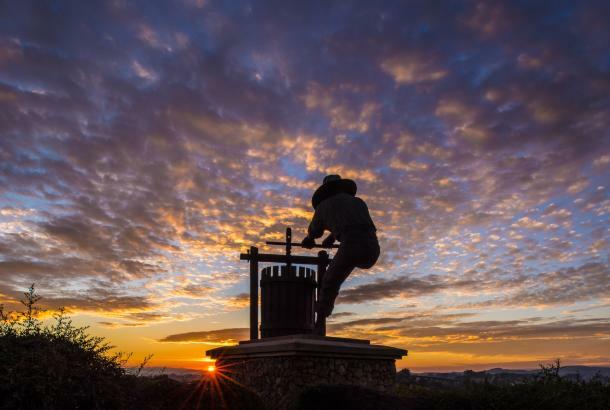 Calistoga’s annual Winter in the Wineries Passport offers a relaxed way to tour, taste, and meet winemakers at more than a dozen heralded wineries, both large and small, in and around Calistoga Dec. 3, 2016 – Feb. 5, 2017. 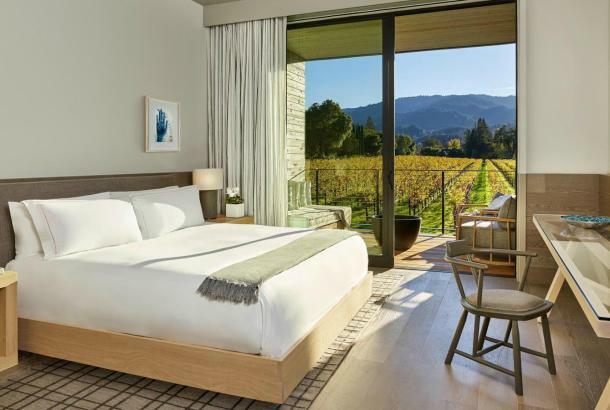 Passport holders also receive discounts at several of Calistoga’s finest restaurants, lodging properties and downtown shops. The city of Napa marks the start of the season with its annual Lighting of the Christmas Tree in Veterans Park on Main Street in downtown Napa, Wednesday, Nov. 23, 2016 at 6 p.m. Complimentary hot chocolate from Downtown Joe’s and cupcakes from Kara’s Cupcakes will be provided while the Mayor lights the 29-foot-tall tree. Silverado Resort and Spa’s annual tree lighting on the Mansion Circle is Friday, Nov. 25, 2016 from 6 – 7 p.m. Guests will be entertained by carolers from the Vintage High School Choir, followed by the arrival of Santa. Hot chocolate, hot toddies and cookies will also be served. Guests are invited to bring an unwrapped toy for the Toys for Tots toy drive. Yountville’s 28th Annual Festival of Lights is Nov. 25, 2016 from 3 – 6 p.m. when the town is transformed into a magical winter wonderland of thousands of tiny (energy efficient) twinkling lights. "Bright Lights, Christmas Delights," the 54th Annual Christmas Parade, is Saturday, Nov. 26, 2016 at 5 p.m. in downtown Napa. The parade begins and ends at First and School streets. Since becoming an evening parade, locals have creatively decorated parade entries, including cars, horses and even children, with bright, festive lights. Following the parade, Santa Claus will be in the “Big Chair on the Riverfront” to hear Christmas wishes. Join The Harvest Inn in St. Helena for their annual holiday tree lighting on Dec. 1, 2016 from 6 – 8 p.m. Festive bites, hot cocoa and mulled wine will be served while the St. Helena Catholic School choir entertains. Napa’s Holiday Trolley offers complimentary rides through Downtown Napa Fridays, Saturdays and Sundays Dec. 2 – 24, 2016, from 3 - 6 p.m. The decorated trolley plays seasonal holiday music and travels between the Oxbow Market, Historic Napa Mill, First street at Dwight Murray Plaza and Main and Pearl Streets. Riders may hop on and off as they wish or enjoy the entire loop at one time. American Canyon’s 6th annual Reindeer Run is Saturday, Dec. 3, 2016, with check in at 8 a.m. The 5k, 10k run/walk is through the beautiful Thompson Trail in the wetlands area of south Napa Valley on a paved, flat course. The 5k is a loop course winding around an island, while the 10k is an out-and-back course with a loop section, giving participants a lovely view of American Canyon’s wetlands. The Napa Lighted Boat Parade is Saturday, Dec. 3, 2016, at 5:30 p.m. and begins at the Napa Valley Yacht Club. A festival of lights will glitter off of the Napa River as the boats make their way towards the Napa Third Street Bridge. Holiday entertainment will serenade the boats along the Riverfront making that location the ideal viewing spot of the holiday themed light show. Dec. 3, 2016 from 7 - 8 p.m.
Vintage and modern tractors, antique trucks and construction equipment bedecked with dazzling lights roll down Calistoga’s scenic main street to celebrate the season and the city’s agricultural heritage. 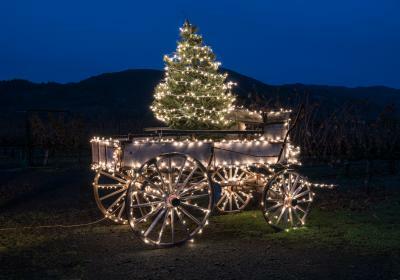 Robert Mondavi Winery’s 6th Annual Holiday Tree Lighting and Celebration, is Saturday, Dec. 3, 2016, from 3 – 5 p.m., and features an afternoon of buggy rides in the vineyard, carolers, cheese and charcuterie appetizers, hot cider, holiday cookies, and wine. Admission is $25 per person and complimentary for wine club members, or with a donation of food for the Napa Valley Food Bank. “Tuba Christmas,” a world traveling concert series, will perform in the heart of Downtown Napa on Dec. 4, 2016. Veteran’s Park will be filled with traditional Christmas music performed by more than 50 tuba and euphonium players. With two shows at 2 and 4 p.m., the shows feature a variety of uniquely sized and shaped instruments resulting in the sound of a rich pipe organ. Downtown Napa’s holiday Horse-Drawn Carriage ride departs from the Historic Napa Mill on Thursday, Dec. 8, 15, and 22, 2016 from 4:30 to 7:30 p.m. Rides are complimentary. Symphony Napa Valley presents “Holidays in Vienna” on Sunday, Dec. 11, 2016 at the Napa Valley Performing Arts Center at Lincoln Theatre in Yountville, featuring the sounds of Vienna and Old Europe, with seasonal works by Strauss, Tchaikovsky, Handel and others. The program will include music from the Nutcracker, Messiah, Blue Danube, as well as traditional carols filled with holiday cheer. Don your festive attire and join Maestro Guttman, Symphony Napa Valley and choir in a sing-along of the Hallelujah Chorus. The Napa Regional Dance Company presents the 16th Annual production of The Nutcracker. Enjoy the magic of this holiday tradition for audiences of all ages. Performances are scheduled on Saturday, Dec. 17, 2016 at 2 and 7 p.m., and Sunday, Dec. 18, 2016 at 2 p.m. Goose & Gander in St. Helena welcomes all flappers and dappers for their annual New Year’s Eve Speakeasy Dec. 31, 2016 beginning at 5 p.m. with cocktails and ragtime music provided by Bob Ringwald. There are two dinner seatings; 6:30 and 9:30 p.m. with dancing with DJ Rotten Robbie at the after party. Oakville’s new wine tasting salon Durant & Booth offers a slate of holiday-themed classes to pair with its Napa and Sonoma wines. Guests may choose between water marbling art classes inspired by the salon’s wine labels, wreath-making classes led by florist Melody Raye, and Salon Yoga classes. Marbling and wreath-making classes will be held in November and December 2016 and Salon Yoga kicks off weekly in January 2017. Walk, Taste and Sip your way through the holidays at the Downtown Napa Culinary Crawl Thursday, Dec. 15, 2016. The crawl kicks off at 5 p.m. and features specially prepared bites at each stop paired with exclusive drink specials. Guests will also have the chance to win gift cards, bottles of wine and other raffle prizes throughout the night. runs Nov. 19 – Dec. 29, 2016, where guests will embark on an all-new musical and interactive journey to Santa&apos;s Workshop accompanied by some of Santa&apos;s best friends. Magical wristbands will transform the experience, while guests enjoy hot chocolate, cookies and other holiday treats. Join Santa for breakfast at the Silverado Resort and Spa Grill on Saturday, Nov. 26, 2016, from 8 – 10 a.m. for annual holiday photos and wishes for Santa. Silverado Resort and Spa offers its annual Teddy Bear Tea on Saturday, Dec. 11, 2016 from 1:30 - 3:30 p.m. Enjoy traditional treats such as tea sandwiches, scones, and petit fours. Each child will enjoy a holiday themed puppet show and receive a teddy bear and holiday mug to take home. La Belle Epoque announces its inaugural Christmas Holiday Formal Tea, Saturday, Dec. 10 and Saturday, Dec. 17, 2016 at 2 – 4 p.m. Enjoy an authentic Victorian Afternoon Tea with holiday and classic teas, lunch as well as desserts and treats, in the decorated historic inn near downtown Napa. The event may also be scheduled for private parties. Join Judd’s Hill Annual Hanukkah Hootenanny on Dec. 11, 2016 from noon – 2:30 p.m. Sip current vintages and library wines, enjoy beef brisket sliders, a latke bar featuring and traditional jelly donuts. This event benefits Napa Children’s Health Initiative. JaM with easy-to-love wines Butter, JaM and Toast for the Holidays at JaM Cellars in Downtown Napa. Festivities include “Bottomless Toasts” each Sunday for $20, with a brunch order; Holiday movies every Wednesday at 7 p.m. from Nov. 11 – Dec. 28, 2016; and live music JaMSessions every Friday at 9 p.m..
Oakville Grocery, California’s oldest grocer and specialty foods destination, introduces a new line up of holiday beverages at its espresso bar where guests can enjoy pumpkin spice lattes, eggnog lattes and peppermint hot chocolate. The Oakville Grocery Artisans program features micro-batch products made exclusively in Napa and Sonoma and will introduce new holiday-themed candies, sweets, and baked goods that may also be included in the gourmet shop’s customizable gift baskets, perfect for group or corporate gifting. Long Meadow Ranch&apos;s restaurant at Farmstead features several holiday cocktails this winter, including the LMR Hot Toddy with apple cinnamon infused brandy, black tea, lemon juice and honey cinnamon simple syrup, the Red Ryder with vodka, pomegranate juice, lime juice, simple syrup and egg white, and the Cider Smash with dark rum, Fernet Branca, housemade spiced cider, lemon juice and agave. For the traditional holiday drinkers, they also offer LMR Eggnog with bourbon, brandy and dark rum. Throughout the month of December, Meadowood Napa Valley lights up the holidays with decorations gate-to-gate beginning with lighted trees along the pathways into the forests, and handcrafted holiday cookies by Meadowood’s Pastry Chef, complete with recipes, will be offered each day by the fire in the Reception Lodge. 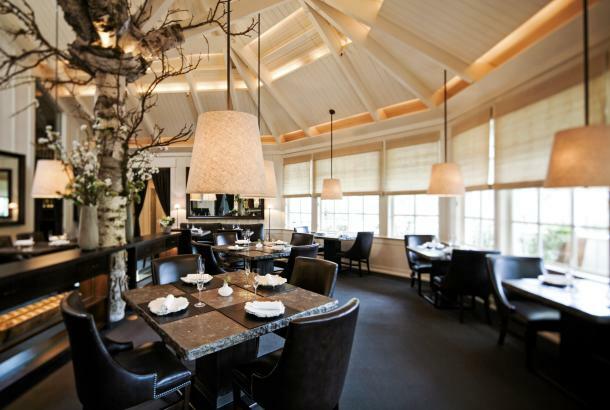 Guests staying on the estate will also enjoy holiday-themed cooking, cocktail and sparkling wine classes led by Meadowood chefs, sommeliers and master mixologist.